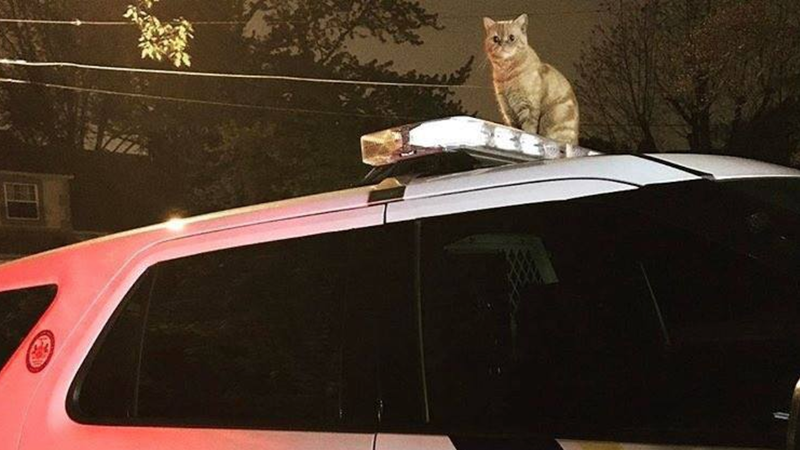 This is a cat on top of a police car. But it’s not just any police car. This anarchist cat decided to hop onto a car belonging to the Philadelphia Police Department’s K9 unit, ignoring the cautionary “police dog” warning letters as aloofly as a cat could—because cats rule and dogs drool, if you missed this feline’s memo. Whether or not punny gateway drugs are being sold in some underground feline market, this furry felon seems adamant that the law will not dictate where it sits so long as it fits. The police department doesn’t appear to have said what happened after the cat left its vehicular throne, but it’s safe to say this feisty feline is out ruling the streets and reminding everyone that cats will not, in fact, be governed by the two-legged mammals of this world.